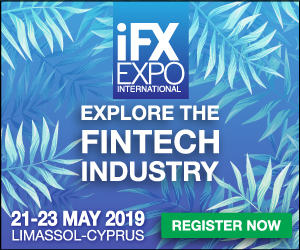 As an agency providing tailored content marketing solutions to the finance and fintech sectors, we’re thrilled to be confirmed media partners for the iFXEXPO. The summit will take place in Limassol, Cyprus from 21–23 May 2019 and will bring together some of the industry’s brightest minds including a panel of esteemed speakers and thought-leading exhibitors. We will be attending and can’t wait to mingle with like-minded people, attending some great speaker spots and of course partying the night away in true iFXEXPO style! Dubbed the largest financial B2B EXPO in the world, the iFXEXPO is always eagerly anticipated and is a great opportunity to stay in-the-know with all the latest developments. This conference will focus on the retail fintech industry with the aim of connecting technology, blockchain and liquidity providers with forex, banks, affiliates, introducing brokers and white label partners. Considering the rapid pace of fintech developments in recent years, the summit will touch on many ideas and concepts that are having a direct impact on society. The iFX EXPO will welcome a host of influential speakers invited to spark a discussion on some of the hottest topics of the moment. Offering the latest insights, attendees can learn about everything from recent product launches to industry trends. See the full, impressive list of speakers here. The Contentworks crew loves a good networking opportunity, and this is certainly the place to grow your professional network and seize the chance to talk with industry experts. It’s not every day such influential individuals gather under one roof making the EXPO an ideal place to learn. Face-to-face interactions often spark long-term professional partnerships too. Contentworks will be available to discuss content marketing for the finance and fintech sectors. The iFXEXPO offers a full agenda packed with informative talks such as Global Forex Trends explained by Google and Multi-Asset Trading in 2019. The schedule is clear and well-organised making it easy to decide which talks you want to attend. Exhibitors will showcase the latest in cutting edge technology that’s helping to shape the fintech industry both now and in the future. The iFXEXPO is an event that welcomes some of the best ideas globally and is a platform for innovation. Our media partnership with the iFXEXPO makes perfect sense. As many concepts within the fintech world are in their nascent stages or are difficult to explain to the masses, exceptional content marketing is necessary in order to communicate key ideas. And that’s where we come in. Contentworks is passionate about the fintech sector. From whitepapers, articles and blogs to tutorials, video and e-books there are many ways to engage a specific target audience. Our content and social media strategies are designed to extend outreach and maximise the potential of companies. Contact us today to arrange a meeting at the iFXEXPO, to get expo exposure on our social media channels or to discuss effective content marketing for your brand. Or all three.